The Teruzzi & Puthod winery was founded in 1974 with the mission of producing high quality wines, thus improving the standard of this unique territory, rich in winemaking history and tradition. It was two outsiders from Milan – husband and wife, Enrico Teruzzi and Carmen Puthod, who pioneered the area’s winemaking renaissance, leading a quality revolution with avant-garde methods of vinification, the art of aging wine in barrique, and the blending of indigenous and international varietals. The latter is famously exemplified by the estate’s “Terre di tufi,” which debuted in 1984. Considered one of Italy’s best whites, it has been a cult wine since its creation. For years, Teruzzi & Puthod has been part of “Global Quality,” an eco-friendly project that avoids the use of products which, while permitted, are not particularly compatible with the environment. The estate covers a sizable 445 acres with 232 acres planted with vineyards. 148 acres are dedicated to Vernaccia, making Teruzzi & Puthod the largest privately owned estate cultivating this grape variety. The region has a continental climate, with cold and rainy winters and hot summers.The soils are mostly sandy with some clay. Designated Italy’s very first DOC wine in 1966 and later elevated to DOCG status, Vernaccia di San Gimignano holds an illustrious place Tuscany’s iconic white wine history. 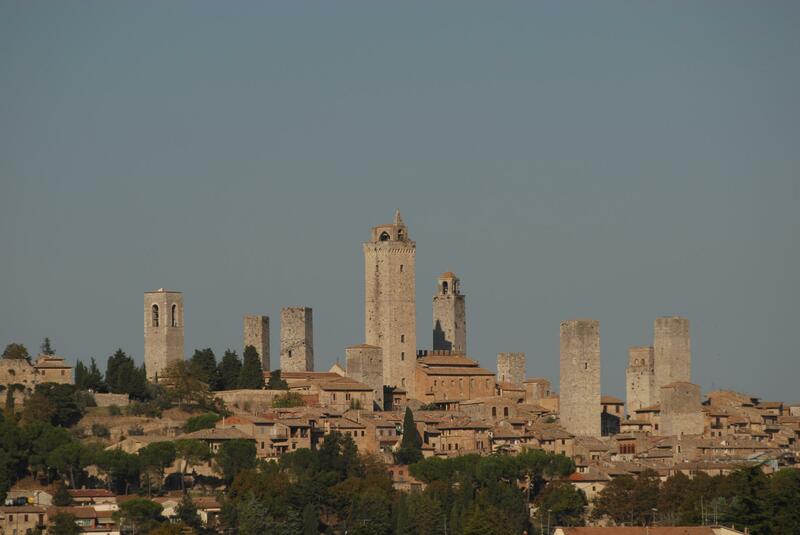 The towered medieval town of San Gimignano in the province of Siena is a place of beauty and tranquility; ancient, ivory-white stone buildings set in the gently rolling Tuscan countryside. One of Italy's most historic winemaking sites, the fame of its Vernaccia-based wines is as old as the city itself. Teruzzi & Puthod’ consultant winemaker, Giuseppe Caviola, is considered one of Italy’s most respected consultants, having traveled and worked throughout much of Italy. Giuseppe’s wines consistently garner critical acclaim and awards. The estate is owned by Terra Moretti Vino, an Italian company with strong ties in wine production, including the premium Franciacorta estate, Bellavista. As the parent company, the Moretti group acts in a supporting role, continuing the Teruzzi & Puthod’s legacy for producing outstanding white wines.